29 April 2017 | Written by Mohammad Al-Asad. Published in Heritage Properties. Read 1278 times. 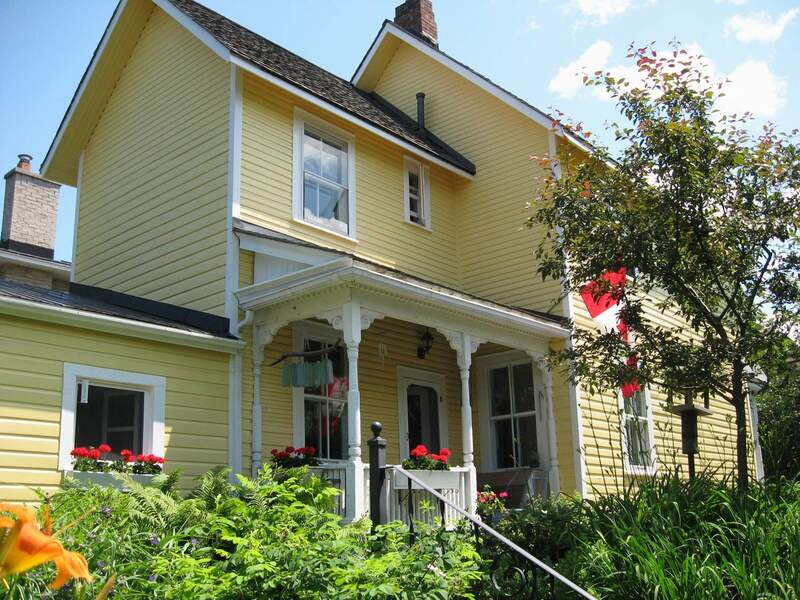 This 2 1/2-storey, front-gabled frame structure was built in 1898 for Benjamin J. Hunt, a pressman. 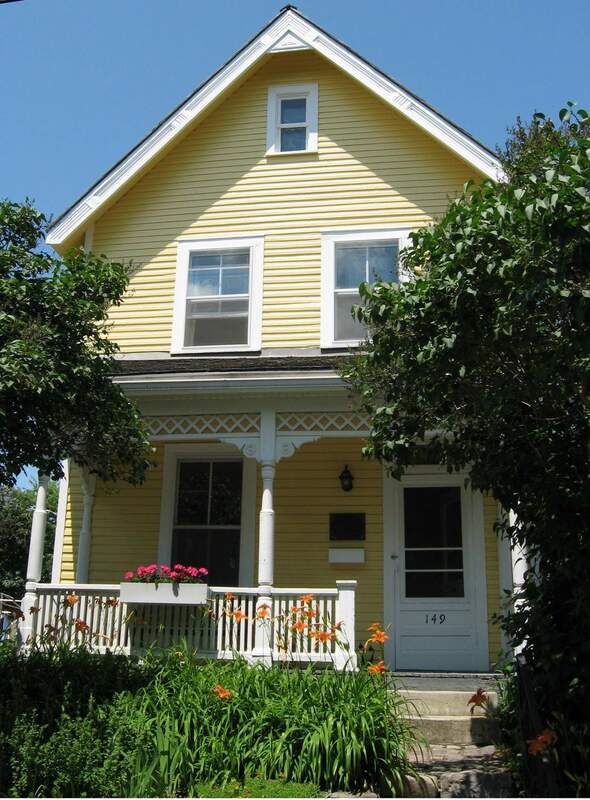 The well-preserved clapboard finish is highlighted by a solid verge board. The modest trellis work on the front façade and at a side entry differ from the more exuberant gingerbread produced in the late-Victorian era. The building was put up in one of the Ottawa’s early suburbs, and its exterior, including additions, marks it as a typical example of single family residences in this area. Houses such as this were often home to working-class families. They could be ranged closely together, yet the design afforded each family its own space. The front veranda, by enticing families to sit and catch a breeze during the brunt of summer heat waves, helped promote neighbourliness and community spirit. The information provided above is reproduced from: Local Architectural Conservation Advisory Committee (LACAC), Ottawa: A guide to Heritage Structures (Ottawa: City of Ottawa, 2000), p. 186. In 1924, Hunt, possibly upon retirement, established a taxi cab business located on the property, and in 1933, started a service station, also located on the property. In 1934, Roswell James and his wife Bea moved into the house as its new owners and remained there until 1965. Part of the house’s corner lot was sold during the mid-1960s and a duplex has been constructed on it. 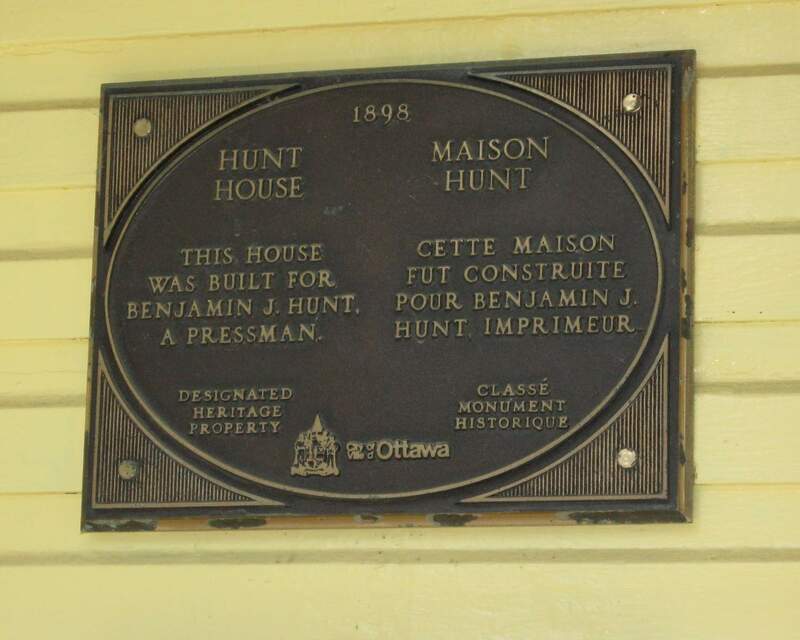 The house was designated a cultural heritage property in 1981 as being a “fine example of a single family residence in one of Ottawa’s early suburbs.” The designation is for the exterior of the house, but not the interior. The house’s current owner is John Feihl, who has been residing there since 1971 and has taken on the responsibility of preserving it. Feihl, John. “149 Hopewell Avenue.” Unpublished paper. MacDonald, Rae. “Clapboard and Bricks.” OSCAR. September 1984, p. 12.